On our way home from Florida we made a slight detour to eastern Tennessee to visit some new friends. Diane is a retired nurse while Allan served 13 years as a volunteer park ranger in Great Smoky Mountain National Park. We had first met them at the Mayo Clinic in Rochester, Minnesota. Barb and Diane at an ice wall. Ice on the mill at Cades Cove. And yes we did hike along the Suwannee River. It was not far from our haven at Cedar Key. What a fun day it was. We followed the boardwalk down to the river. There were lots of birds round and about but no manatees on this particular day. She came to our dear friends Steve and Jewel’s farm at Easter time lost and abandoned. They took her in and named her Lily and loved her very much. She became a wonderful farm dog. Mrs. T occasionally fed Lily when her owners had to be gone. Now, some years later, hard times had come again. Both our friends are in a nursing home with serious illnesses. When it rains it pours, as they say. Now Lily has come to live with us. She has adapted very quickly to life in the suburbs. 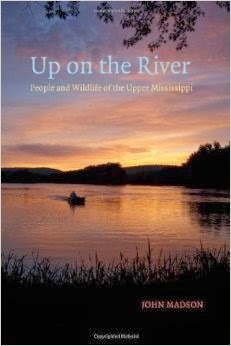 Lily is a good girl…..
With the People and Wildlife of the Upper Mississippi by John Madson. And what a story it is populated with all sorts of interesting people and places. I grew up on the bluffs lying above the river overlooking the city of St. Paul. Down below were the tracks of several major railroads heading east and west. an airport and many barges busily moving up and down the river. Much later, when I had to give up fly fishing in the southeast (Bluff County) portion of the State, there was a boat in which I spent many happy hours fishing the river and its myriad backwaters. The walleyed pike. Lots of them in these waters. Madsons stories can draw you into a great place whether you are familiar with it or not. A place in the past and the present full of enjoyment and wonder. 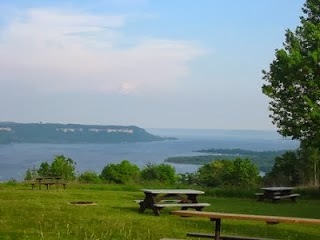 Lake Pepin a widening in the river great for sailboating. 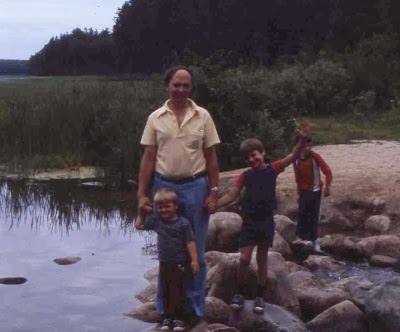 Troutbirder and sons prepare to jump over the Mississippi at iconic Lake Itasca where the Mississippi begins to wind it way to the sea. 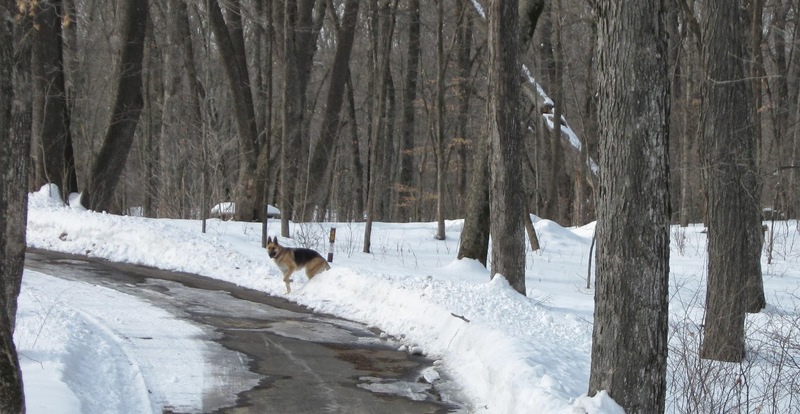 her standing, snow shovel in hand, along our driveway in Bluff Country (Southeastern Minnesota). 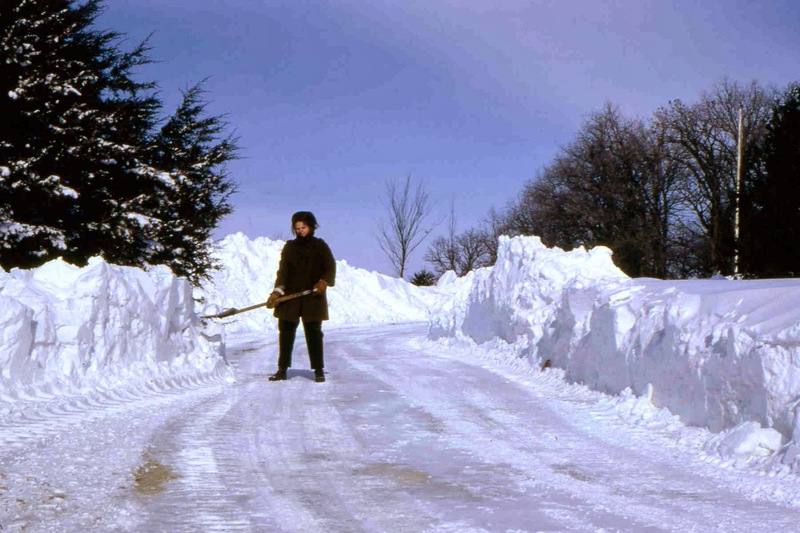 Seemed like a good time to make a comparison of the wordy "snowy" as commonly applied in Minnesota and Florida..... 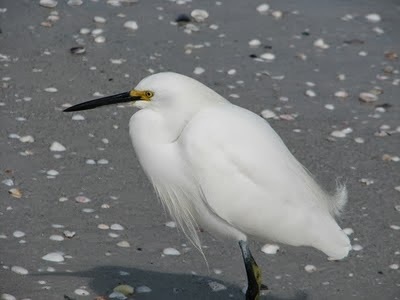 The Florida birds are snowy egrets. 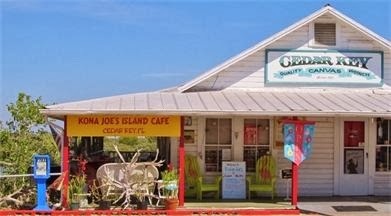 A great vacation location requires some good places to eat out and Cedar Key has many. Our favorite two were Tony’s and Kona Joe’s. 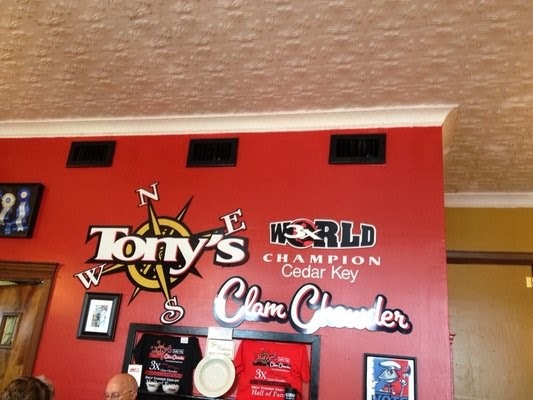 Tony’s Seafood Restaurant opened its doors in June of 2005 on the small island city of Cedar Key, three miles out in the Gulf of Mexico. Featuring fresh gulf seafood, Tony’s 54-seat eatery in the historic downtown area of Cedar Key first introduced its famous clam chowder after being open just one month.Chef Eric, Tony’s founder and owner, created the amazing recipe right in Tony’s tiny little kitchen while working on a variety of other new dishes. Folks constantly try to guess the ingredients and frequently request the recipe. The secret formula is not available and only Chef Eric knows it’s true identity. Even Bon Appetite magazine’s request for the recipe was politely rejected back in 2007. Many chowder lovers asked Tony’s to consider taking it to the Great Chowder Cook-off held in June each year in Newport, Rhode Island. 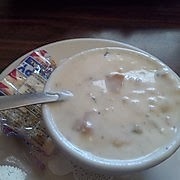 On Saturday June 6, 2009 Tony’s Cedar Key Clam Chowder won the 28th Annual Great Chowder Cook-off and claimed the title, Clam Chowder World Champion. We went back three times during our two week stay. It was that good. Our other favorite spot was Kona Joe’s. Gregarious super friendly Joe shares his story, “Having lived in South Florida for many years, we were getting tired of the crowds and the traffic. We were looking for a place where we could get away from it all and relax in a quiet and beautiful setting. 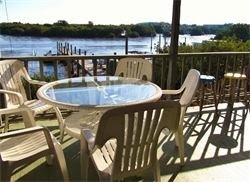 We found our paradise in Cedar Key, a small fishing village located on an island in Levy County on the nature coast. Here, we have plenty of nature and water and beautiful sunrises and sunsets...once we found this place, we did not want to leave. Another option across the street from our cottage was a fish and fruit market. We bought "cooked blue crab" and several varieties of fresh caught fish whose names escape me right now but all good. Nope we didn't starve at all. And we did after while with Captain Bob. Capt. Bob Montuoro was our personal airboat tour guide of the Indian River County Marshlands. We were west of I-95 in Vero Beach in his airboat. There were as many as 50 gators on a hour long ride. Lots of birds too along with a few snakes and some exotic plants. What a ride to cap our Florida vacation. Mrs. T. took over a hundred close ups. She, who is seriously petrified of many large animals. Except put a camera in her hands and all caution goes to the winds. 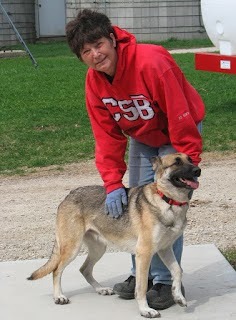 I've had several experiences preventing her from chasing down grizzly bears. Alligators. No problem! Thus, she was never shy about leaning over the boat for some close-ups…. “War is hell” Civil War general William T. Sherman once said. Some more than others. Like the war against Japan in the Pacific during W.W. II. All this as the Americans fought fanatical resistance island hopping their way to Tokyo. 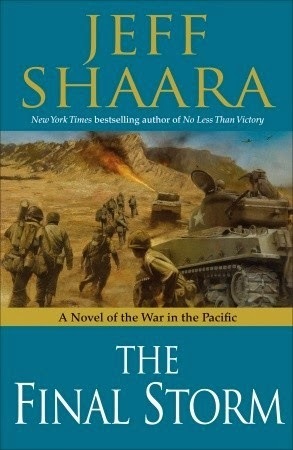 Ugly, brutal, dehumanized, suicidal, no holds barred, take no prisoners…… It’s all there in Jeff Shaara’s historical fiction novel The Final Storm. Why read about such true but ugly history? Fair question. Especially when it’s so much easier, more comfortable to turn our back on “real” reality, when our youth culture is obsessed with video game violence, sham “reality" TV and facile “saving democracy” generalizations about some of our more recent wars. A few years ago we had stopped there for only a night in a local B & B. We were on our way home to Minnesota from a short birding trip to Florida. It had the air of a small remote fishing community. My kind of place, I thought and vowed to return someday for a longer stay. We did. This time in a cozy rental cottage called the Bonaire House. We even had our own dock out into the bayou. A little blue heron almost below the dock. Each day brought more waders close by as the tide went out. We watched the ospreys fishing over the bay and they often landed on a post one dock over from our vantage point. Across the bay from our backyard view a long abandoned fishing boat appear at ebb tide. A White Ibis joined the Great Egret practically on shore while we watched from our comfortable back porch. 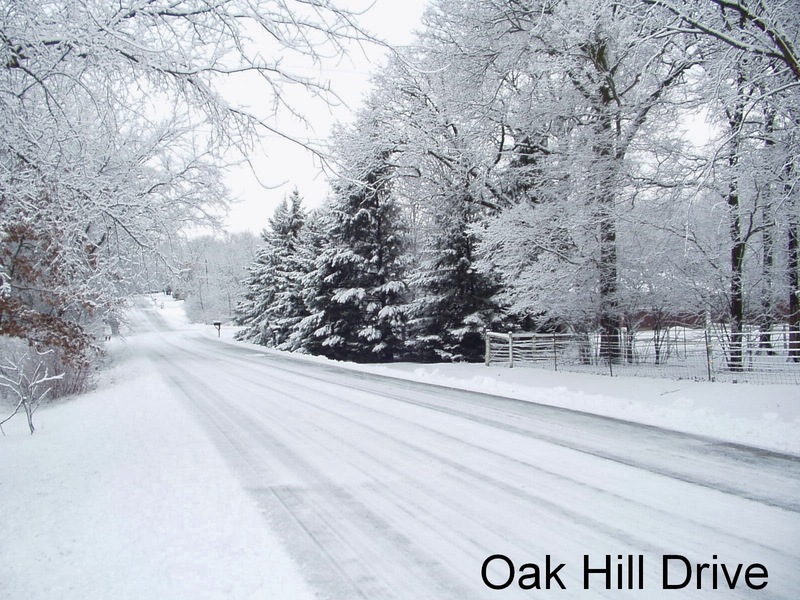 After a perilously icy return trip from our month long sojourn to Florida and Tennessee, I’m ready to take up blogging again. In addition to birding, hiking, beach combing, eating out, photography, visiting relatives, friends and meeting alligators from the safety of an airboat, I managed to get several books read. 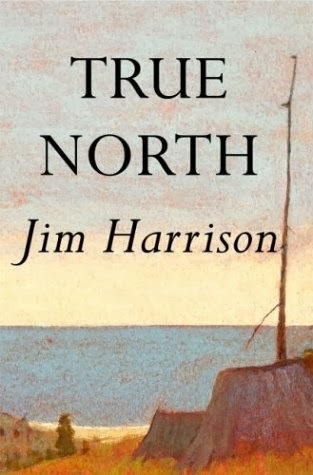 True North by author Jim Harrison seemed initially like a sure fire thing when I picked it up. It had an interesting woodsy locale (Michigan’s U.P. ), trout fishing & other assorted outdoor activities, history, and a Holden Caulfield like main character David Burkett. Burkett is 4th generation scion of a very wealthy family. 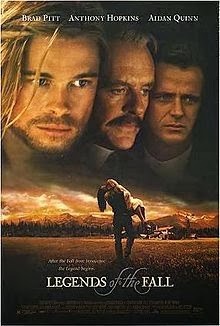 He tells the story of a life filled with mountains of guilt over his timber-baron ancestors’ exploitation and desecration of the north woods, its natives, and its working folk. I think the first person narrative is something called “stream of consciousness.” It’s easy to get lost in the stream. I did at times…..